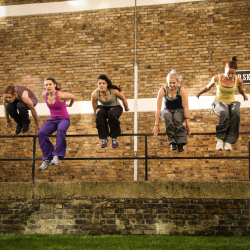 Come and train Parkour with us! 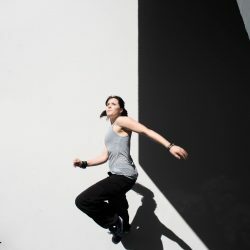 The See & Do parkour workshops are suitable for all levels whether it’s your first day or 10th year. Discover how to improve your posture, strength, mobility, and overall mindset towards how you move and feel. We’ll explore the varied terrains of our everyday environments seeking out challenge, movement and creativity in how we move through the world. 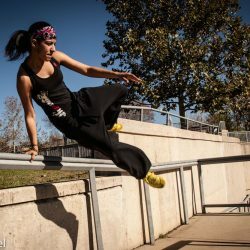 Everyone can benefit from both the inner excellence and physical challenges of parkour. Walls and railings will never look the same again. 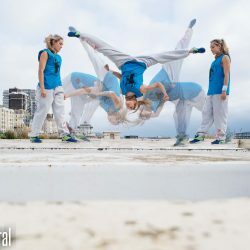 No competition or comparison, See&Do workshops are an inclusive environment where we celebrate a culture of effort while we explore, experience and play with different movements and techniques from the worlds of Parkour, Natural Movement training, Animal Flow and Original Strength. 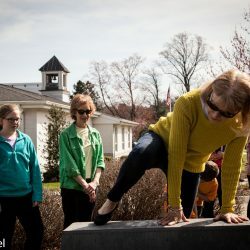 Learn new approaches to movement challenges while increasing your confidence and facing your fears. 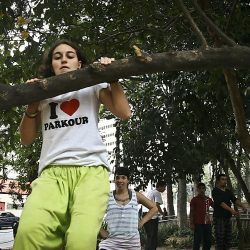 Move More and learn Parkour! We are all able. Q. Can I do this if I havn’t been active in a long time? A. Yes, it is scaleable and moves can be adapted. Our workshops are about effort and inclusivity as well as movement. Q. Will we be sprinting across the city? A. No, that’s really only what happens in TV commercials. We’ll go to one area and train at different spots in that area. Q. Will I have to jump across a rooftop? A. Nope, this is not a stunts workshop. I’m not a roof jumper type of coach. Q. What should I bring? A. Some water and everything in a small backpack so you can move with it if needed. Q. A. You remember what it was like to explore, move and play with the curiosity of a child. You want to experience challenge and be brave. You know that you want to be stronger physically and mentally than you are, but don’t know where to start. You’re ready to see the world around you in new ways. Mark Estdale, 60 yrs old, 1st parkour session. Family parkour. The first time together. Jane Wanjiru Kinyua, 1st Parkour session.